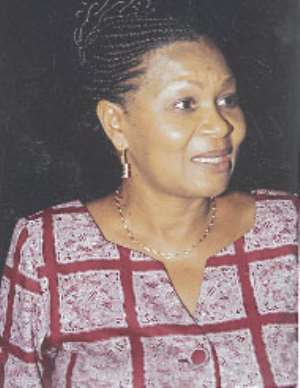 Accra, June 23, GNA - Ms Joyce Aryee, Chief Executive Officer of the Ghana Chamber of Mines, on Tuesday said effective application of Corporate Social Responsibility (CSR), a management concept, was a social condition to giving a qualitative life to the people, promoting and sustaining business growth. She said CSR was about building relationships that bred understanding and mutual respect between a corporate body and its allies. This involves good corporate citizenship, socially responsible products and process of manufacturing, social responsible employee relations and participation in the development and general well being of the people. Ms Aryee was speaking on the topic: "Effective Execution of CSR for national development and poverty reduction" at a day's seminar organised by Living Earth Foundation - Ghana, a non-governmental organisation (NGO) for mining companies. The seminar is to assess how socially, responsible mining companies have been faring in communities they are operating and how to ensure that the people do not suffer undue hardships from the effects of mining during and after the companies have folded up. The mining companies should keep to best environmental safety standards, she said. Ms Aryee said CSR therefore, required businesses to operate in a manner that took responsibility for not only the environment but also the social impact of their daily operations. "We need to emphasize this because at the end of the day business is by the people and for the people," she said. She said: "As entrepreneurs, their policy should be to plan from scratch products, which use materials with least toxic ingredients and are easily recyclable." "It is important to note however, that this might not produce the biggest profit and might affect competitiveness, unless it applied across board as a social requirement. Hence the need for dialogue to push the issue to the fore," she said. Representatives of mining companies attending the seminar underlined the importance of budgeting for socially responsible activities to be able to give alternative livelihood to communities in their operational areas. The companies, which included AngloGold Ashanti, Ghana Manganese Company Limited and Ghana National Petroleum Corporation (GNPC) as well as the Association of Ghana Industries (AGI), agreed that communities must be involved in the decision making of choosing projects in their areas.